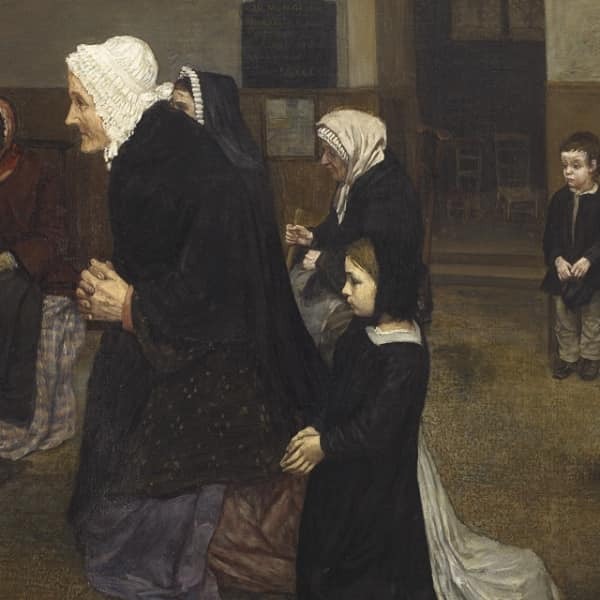 Thought lost for decades, the painting is now in an important private American collection. Known only through dated black and white photographs, L’angelus, by Alphonse Legros was believed lost for decades. 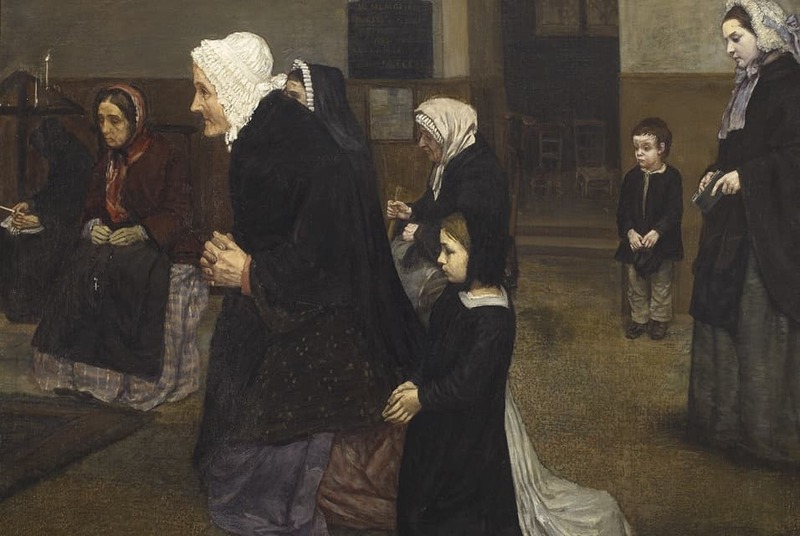 One of Legros’s – and indeed the mid-nineteenth century’s - most storied paintings, L’angelus was also the artist’s first major religious painting and a powerful example of his acclaimed Realist style. The lavish attention it received from the notoriously discriminating art critic Charles Baudelaire (1821-1867) at its debut at the Paris Salon of 1859 was made all the more remarkable due to the staggering number of rejections and instances of scathing criticism that plagued an unprecedented number of other works and artists at this particular venue in 1859. Singled out for praise by numerous subsequent commentators, first in France and later in England, America, and Europe, and housed in some of the art world’s best-known and most discerning early twentieth-century private collections, the reappearance of L’angelus in 2016 is indisputably a monumental episode in the annals of modern art history. It now resides in an important private American collection. The new owner plans to share it via museum exhibitions with the public.